This is a Box Turtle that I saw at Connetquot River State Park Preserve. Yeah, it’s a bit of a mouthful but it’s a great park. In my head it’s Connetquot Park which is easier for my simple mind to digest and much easier to say. Anyways, back to the turtle. This guy was enjoying a sunny patch on one of the trails. Click on the pic to see him a bit larger. 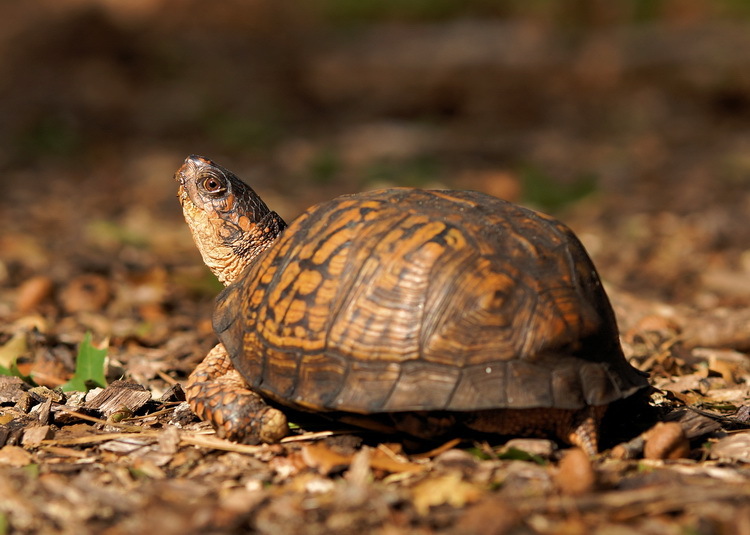 Box Turtles are handsome critters. I’ve been a fan of these guys since I was seven or so. They have always been a part of my Long Island landscape.